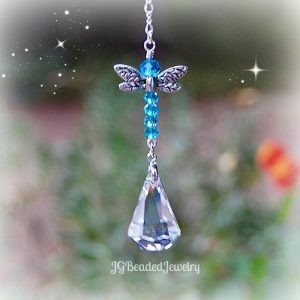 This hanging blue suncatcher is uniquely handcrafted and designed with a color changing bead and a beautiful light sapphire blue 30mm prism crystal. 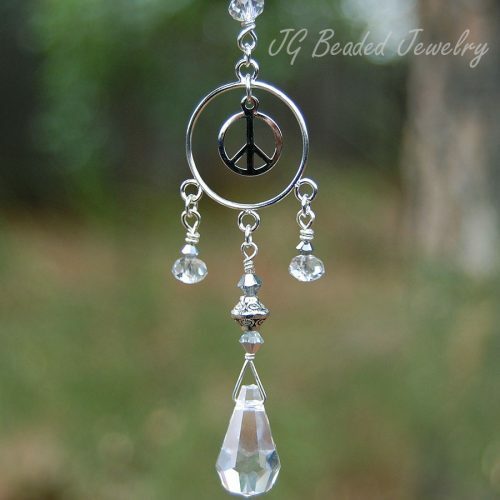 The blue suncatcher is embellished with light sapphire blue faceted crystal beads, lavender Swarovski crystals and a quality color changing mood bead! 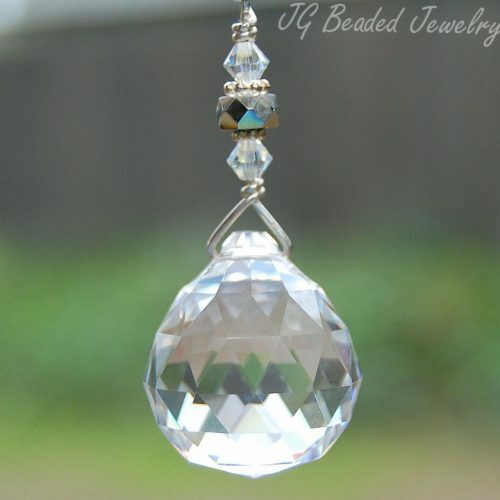 The mood bead will change color with temperature in an array of colors!